I have installed macOS Sierra. I often work on my Mac while on the go, and then I play music using iTunes over my EarPods connected via the mini-Jack plug. The button allows me to pause the music, but now in Sierra, every time I press it, I am asked whether I want to allow Siri. Refusing will simply bring the window up again when I press the button. I don't want to use Siri on Sierra. At all. 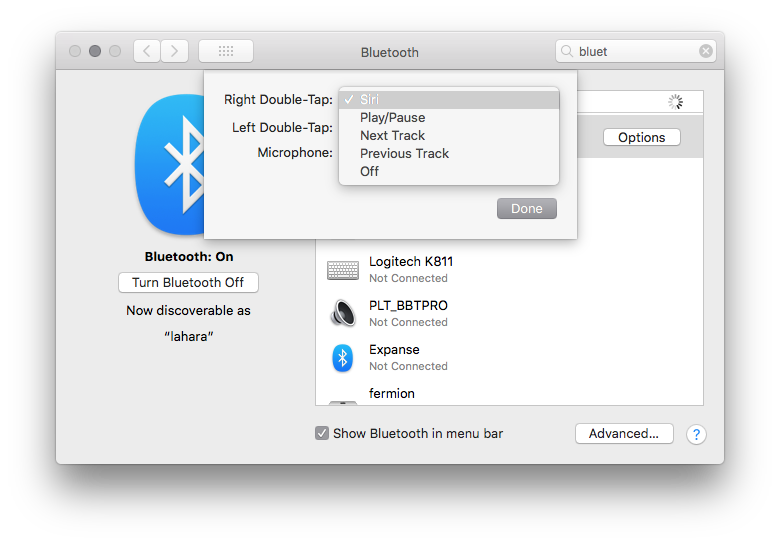 How can I prevent it from trying to activate when I press play/pause on my EarPods? Added after reading comments: When I enable Siri, Siri doesn't activate when I press the button, unless I press it really long. But when I disable Siri entirely, it asks whether it's allowed to activate every time I press the button, even if it's just a short click. It may be related to the fact that although you "disable" Siri, the process is still running. You can easily see that in the Activity Monitor, by searching for Siri. If you try to kill it, it will be restarted by launchd. To stop the automatic restart, disable it by editing /System/Library/LaunchAgents/com.apple.Siri.plist and setting Disabled to false. To do that, you first need to disable SIP (system integrity protection), edit /System/Library/LaunchAgents/com.apple.Siri.plist, then enable SIP. Sounds like a bug in Sierra. Submit a report. For now, enable Siri and just don't use it until it is patched. 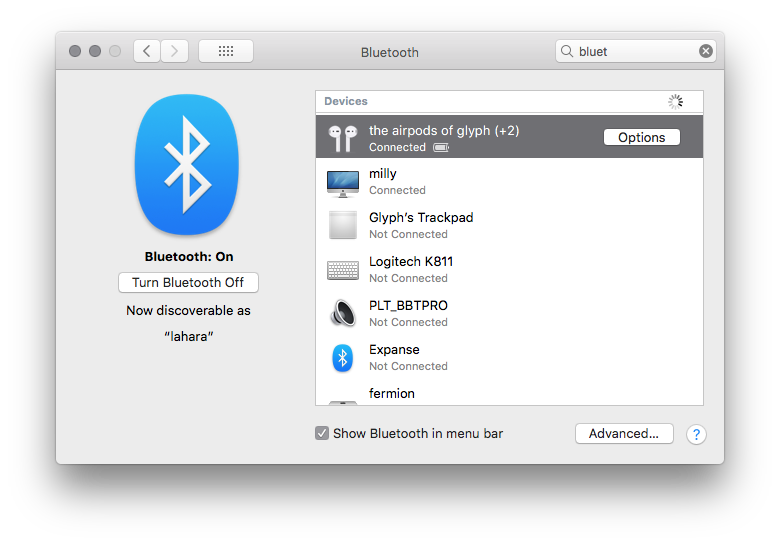 On Sierra, you could only fix this by configuring the AirPods when paired with an iOS device. Pic from MacWorld : How to make Siri activate when you say ‘Hey Siri’ to your Mac with macOS Sierra which I imagine would be only of peripheral interest if you wish to disable it completely. Not the answer you're looking for? Browse other questions tagged itunes siri sierra ear-phones . 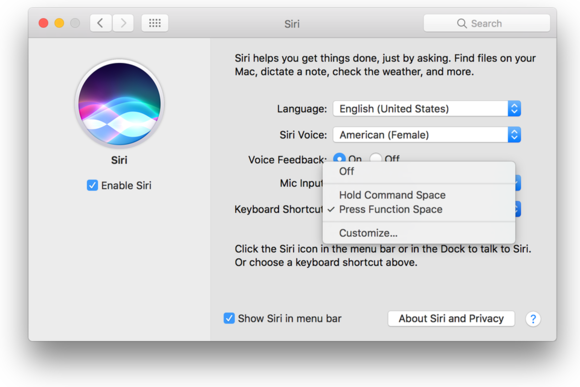 macOS Sierra How do disable Siri prompt? How can I make Siri tolerate longer periods of silence for note dictation?